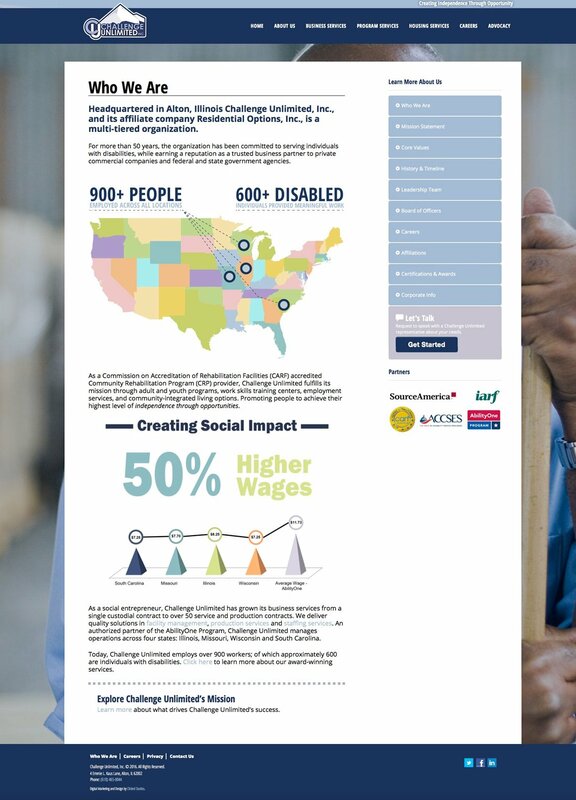 Challenge Unlimited was founded in the middle of the 20th century and had been surviving on a site it had designed in the late 2000’s. Long story short, it’s brand image and digital presence were flat lining. Challenge Unlimited came to Clicked Studios hoping for a major turn around and to breathe new life into its aging digital persona. 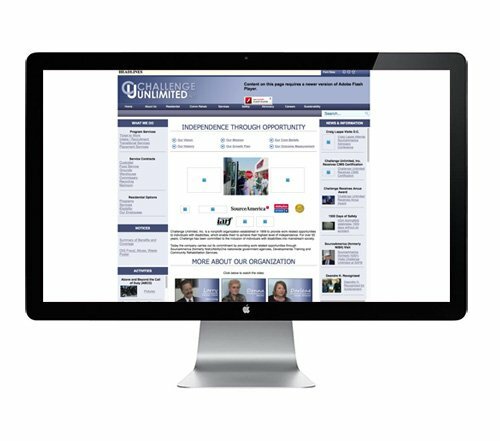 Challenge Unlimited’s old website consisted of a disparate array of information links, services, low resolution videos, and defunct technologies. Even if you were a person interested in working with Challenge Unlimited, you’d have to be a professional detective to find the right area of the website to take action. 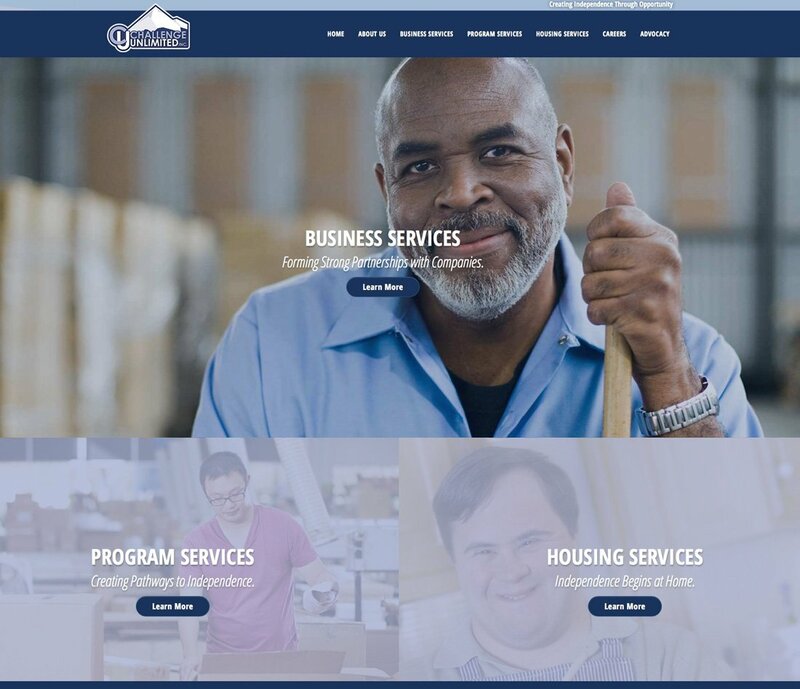 Clicked Studios got to work by first focusing on Challenge Unlimited’s strategic positioning and messaging to help it simplify what its website offered to would-be clients and speak directly to their needs and desires. Once a streamlined set of service offerings was set in stone, Clicked Studios re-designed every facet of Challenge Unlimited’s brand look and feel to bring its focus back to the people it serves. 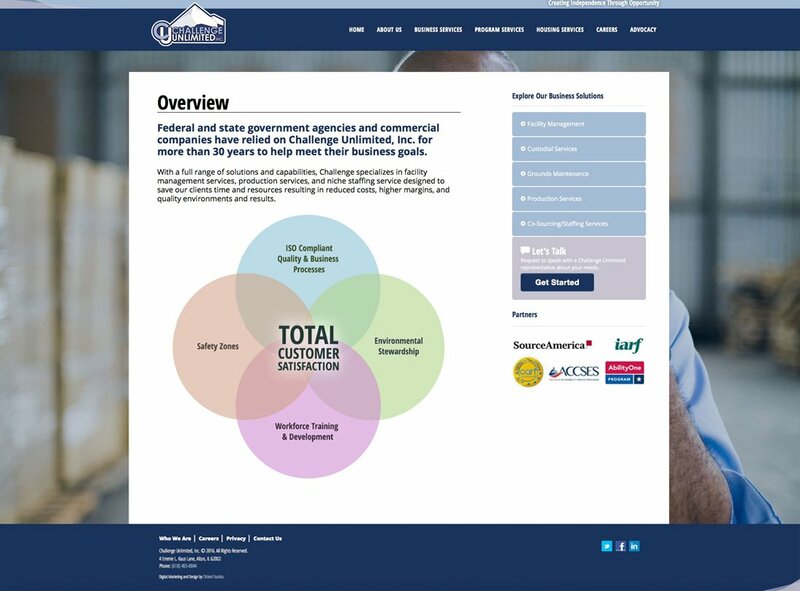 The new brand experience was cemented with a responsive website design and build out that looks great and serves Challenge Unlimited’s prospects customers no matter what device they use.